Join Mayco for the Art Educators of New Jersey Conference, October 5-7 in Long Branch, NJ. Learn more about Mayco products during the Make & Take in our booth and in our class. Visit the AENJ website for more information. 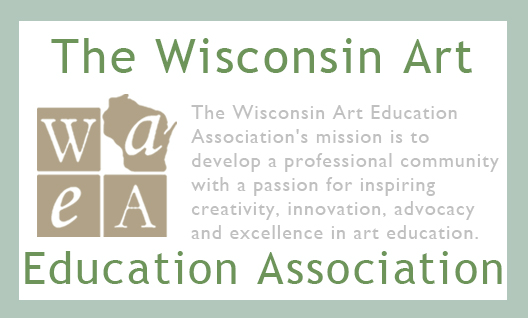 Join Mayco's Kathy McCourt for the Wisconsin Art Education Association Conference, October 17-18, 2019 in Manitowoc, WI. Register for our class for hands-on experience with Mayco products. Visit the WAEA website for more information. Join Mayco at the the Pennsylvania Art Education Association Conference, October 30-Nov 2, 2019 in State collage, PA. Learn more about Mayco products in our class and in a Make & Take in our booth. Visit the PAEA website for more information. Join Mayco at the the North Carolina Art Education Association Conference, November 7-9, 2019 in Raleigh, NC. Register for our class for hands-on experience with Mayco products. Visit the NCAEA website for more information. Join Mayco at the Florida Art Education Association Conference, November 7-10, 2019 in St. Petersburg, FL. Learn more about Mayco products in our class and in the Make & Take in our booth. Visit the FAEA website for more information. Join Mayco's Keith Kern for the Texas Art Education Association Conference, November 13-16, 2019 in Galveston, TX. Learn more about Mayco products in our class and in the Make & Take in our booth. Visit the TAEA website for more information. Join Mayco for the Ohio Art Education Association Conference, November 13-15, 2017 in Columbus, OH. Learn more about Mayco products in our class and in the Make & Take in our booth. Visit the OAEA website for more information. Join Mayco for the Illinois Art Education Association Conference, November 21-23, 2019 in St. Charles, IL. Learn more about Mayco products in our class and in the Make & Take in our booth. Visit the IAEA website for more information.